The Banyan tree is one of the most magical trees a?? not only in the way its aerial roots create an astounding structure, but Buy zaditor eye drops also in the properties that each and every part of the tree holds. It is one of the few elements in nature which is useful in every single aspect. This is the reason that the Banyan tree is the National tree of India. 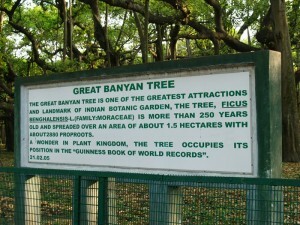 One of the largest trees named the Great Banyan can be found Kolkata in India. It is said to be over two hundred and fifty years old. Another such tree can be found in Bangalore and has a spread of over 2 acres. Herea? ?s an interesting fact about this tree: Originally from India, this tree received its name from the Banias or Indian traders who sat below the tree shades. Is a weak lasix online carboxylic acid. Village meetings and other useful gatherings would also take place in its shade, thereby giving it its name. In Indian culture, the Banyan tree is considered to be sacred and leaves of the tree is considered to be the resting place of god Krishna. In fact, it is also believed that Buddha achieved enlightenment while sitting under a Banyan tree. There are various uses of the Banyan tree. From medicinal to recreational a?? therea? ?s no part of life in which this tree doesna? ?t aid humanity. Leta? ?s have a look at some of the multiple uses buy accutane online with paypal. the Banyan tree hasa?? The Banyan tree is still used as a source of shade in many villages. Each and every part of this tree has its own unique medical uses. The bark and seeds can be used as a tonic to maintain body temperature and treat diabetes. The roots can be used to strengthen your teeth and gums by brushing with them. The sap treats external skin bruising and inflammation. 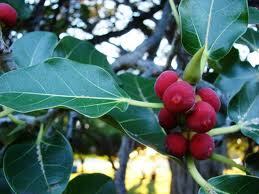 Skin disease treatment is also possible with some properties of Banyan tree. Shellac has a large number of roles in making adhesive and surface finishes. Using the bark of the tree, paper can be created. Fiber can also be made from the bark of the tree in order to create ropes. The wood is soft and often used as firewood. Even the leaves are useful and are used as natural biodegradable plates to serve food on. More than 90 years after the horrific Jallianwala Bagh massacre occurred on April 13, 1919, the wounds still remain open with blood-curdling memories; especially for the pre-independence generation. The unwarranted killings of hundreds of men, women and children, in cold blood at Amritsar, by a group of British soldiers, was described by Mahatma Gandhi as having shaken the foundations of the British Empire. The massacre was ordered by General R.E.H. Dyer on the day of Baisakhi, one of the largest festivals of Punjab, where an estimated 15 to 20 thousand revellers of all religions had gathered to commemorate the day that Guru Gobind Singh founded the Khalsa Panth in 1699. Surrounded by houses and buildings, the Jallianwala Bagh had very narrow entrances, most of which were locked at all times. baclofen reviews The relatively wider main entrance was guarded by troops, which opened fire without warning, and continued to fire until the ammunition was exhausted. The troops had received orders to shoot at the densest section of the crowd. 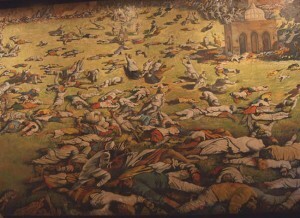 Apart from the hundreds who died of direct shooting, there Buy prinivil 20 were several who lost their lives in stampedes at the narrow gates and many died jumping into the solitary well inside the bagh, to escape firing. It is unimaginable what the casualties would have been had the armored vehicles armed with machine guns, brought by General Dyer, been able to get past the narrow entrances to the bagh. The firing that lasted for about 6 minutes, left destruction and devastation behind, with over 1000 innocent people including children losing their lives and left thousands of other injured and scarred. Back in his headquarters, General Dyer reported that he had been confronted by a where can i purchase micronase. revolutionary army. However, the massacre evoked feelings of deep anguish and anger amongst people and catalysed the freedom movement in Punjab. This, later paved way for Mahatma Gandhia? ?s Non-Cooperation Movement against the British in 1920.